Exigez un Peureux! 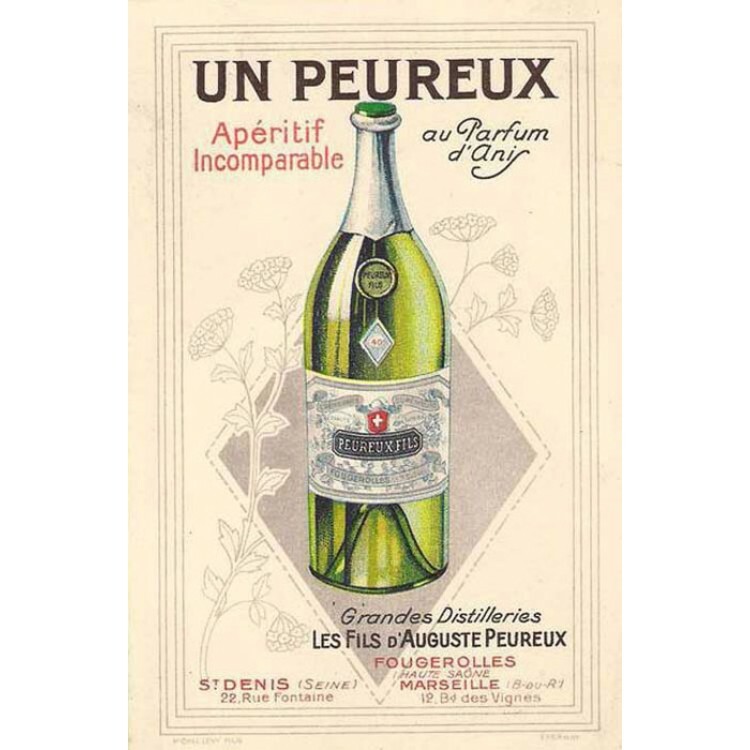 That was the claim the Peureux distillery used to market its Absinthe back in the 19th century. 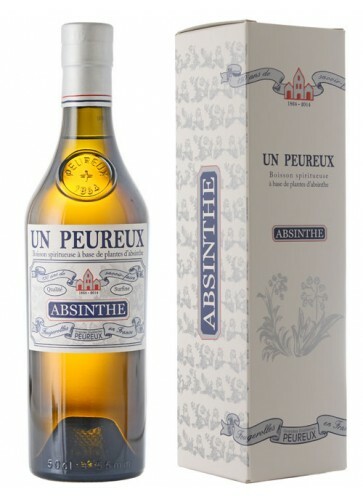 Now, almost 100 years later the French distillery, decided to reproduce its former Absinthe. Exigez un Peureux! 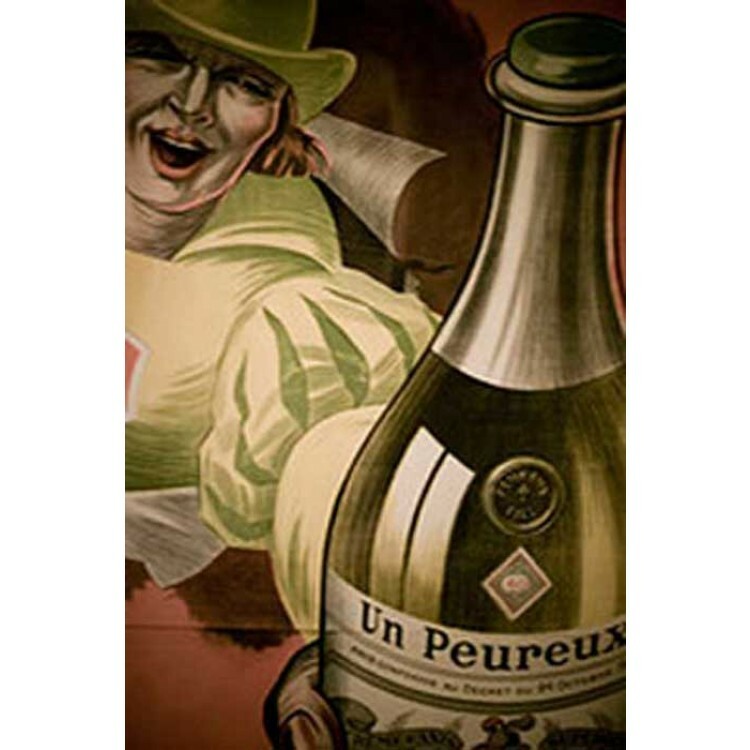 That was the claim the Peureux distillery used to market its Absinthe back in the 19th century. 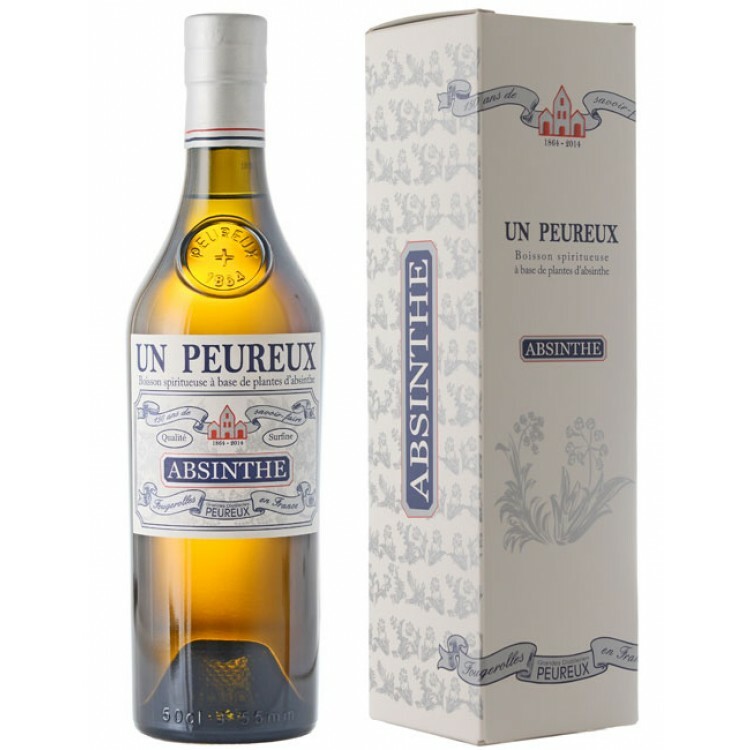 Now, almost 100 years later the French distillery, decided to reproduce its former Absinthe. Using the original recipe books from 1864, different plants plants and seeds are macerated with the greatest care to bring out their distinctive flavours. Part of the recipe is of course wormwood (artemisia absinthium), anise, fennel, angelica, lemon balm, hyssop and veronica. These botanicals create a unique and deliciously fresh bouquet with the colour of nature and the complex fragrances so typical of Absinthe. The design of the bottle and label is inspired by the vintage original. Furthermore, every bottle is packaged in a very decorative box. 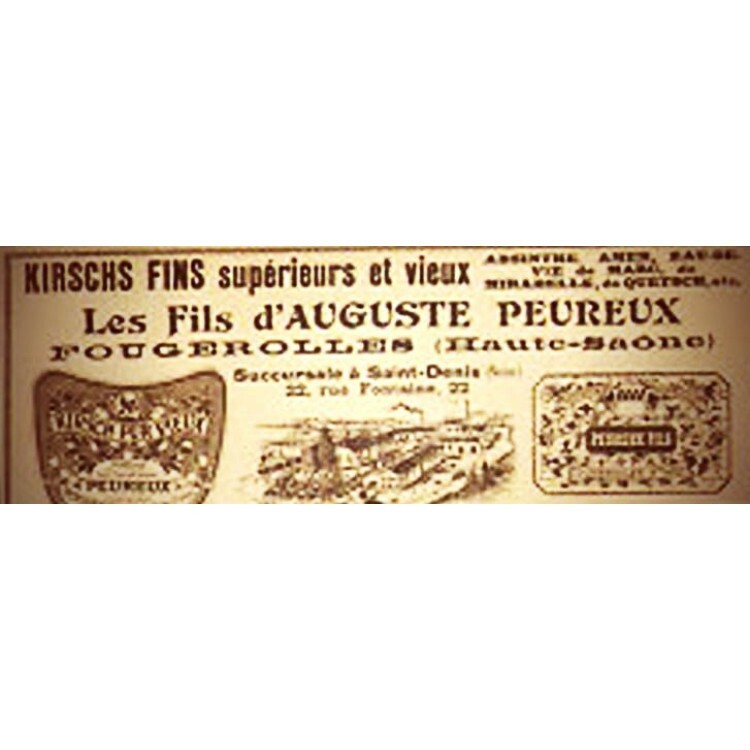 In 1864 Auguste Peureux founded his distillery in Fougerolles at the foot of the Vosges mountains. 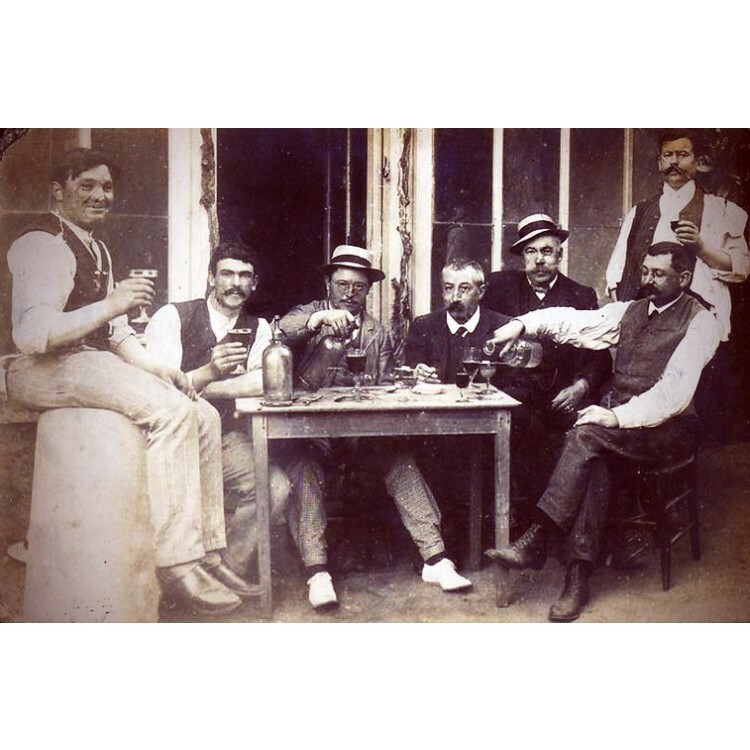 In its early years, the distillery specialised in the production of fruit brandies (eau-de-vie), including the famous Fougerolles Kirsch (cherry brandy). These products acquired a widespread reputation and their distillation skill were as well awarded at the 1900 World Fair in Paris. 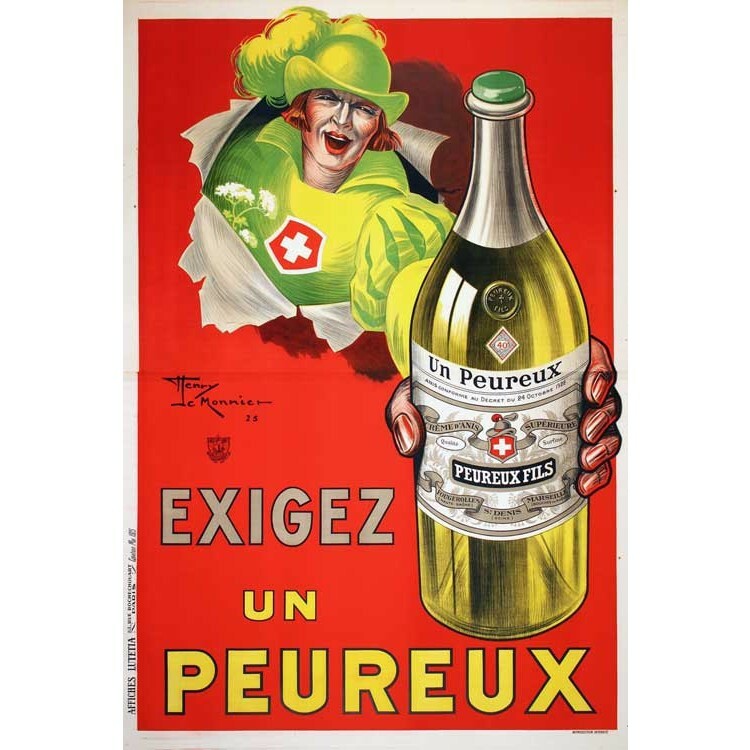 In 1948, after the troubles of the war, Claude Peureux took up the reins of the company and focused on preserving and perpetuating the great traditions and know-how of his grand father. In 1955 he launched a Morello cherry line for chocolate makers, followed by Griottines in the 1980s, wild Morello cherries macerated in a light kirsch syrup, and now a world-famous speciality. I totally agree with the previous review. Ok, it's a macerated one, but it's a really good green absinthe, despite its relatively low 48% vol. Perfect louche even with 4 parts water, anice not covering the other herbal traditional tastes, no sugar added: a good daily absinthe! I begin to suspect that from Fougerolles come the best absinthes .... as to my personal taste. This Absinthe is very herbal to start with, lots of anise and i like that. i like the traditional bottle design very much, it's important. the bottle design adds up to the overall experience. to me this is a perfect verte. I chew a lot when i drink this absinthe and that's a good sign to me. No matter how this absinthe is processed, to me it really is the verte absinthe as it should be.